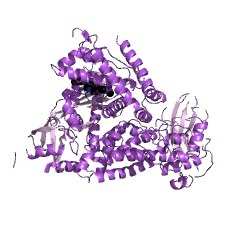 Region of p110 PI3K that binds the p85 subunit. Phosphatidylinositol 3-kinases (PI3Ks) are lipid kinases that phosphorylate 4,5-bisphonate (PI(4,5) P2 or PIP2) at the 3-position of the inositol ring, and thus generate phosphatidylinositol 3,4,5-trisphosphate (PIP3), which, in turns, initiates a vast array of signaling events. PI3Ks can be grouped into three classes based on their domain organisation. Class I PI3Ks are heterodimers consisting of a p110 catalytic subunit and a regulatory subunit of either the p85 type (associated with the class IA p110 isoforms p110alpha, p110beta or p110delta) or the p101 type (associated with the class IB p110 isoform p110gamma). 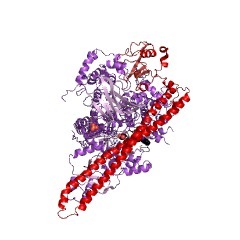 Common to all catalytic subunits are an N-terminal adaptor-binding domain (ABD) that binds to p85, a Ras-binding domain (RBD), a putative membrane-binding domain (C2), a helical domain of unknown function, and a kinase catalytic domain [(PUBMED:17626883), (PUBMED:18079394), (PUBMED:20081827)]. 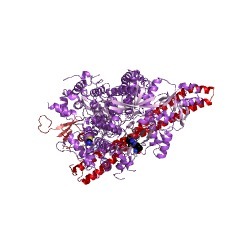 PI3K ABD is a small globular domain of about 100 residues in length with an alpha/beta-sandwich topology [(PUBMED:17626883), (PUBMED:18079394), (PUBMED:20081827)]. There are 976 PI3K_p85B domains in 976 proteins in SMART's nrdb database. Taxonomic distribution of proteins containing PI3K_p85B domain. This tree includes only several representative species. The complete taxonomic breakdown of all proteins with PI3K_p85B domain is also avaliable. Click on the protein counts, or double click on taxonomic names to display all proteins containing PI3K_p85B domain in the selected taxonomic class. 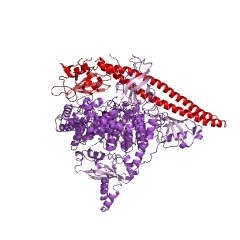 PI 3-kinase: structural and functional analysis of intersubunit interactions. 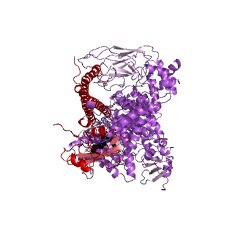 Phosphatidylinositol (PI) 3-kinase has an 85 kDa subunit (p85 alpha) which mediates its association with activated protein tyrosine kinase receptors through SH2 domains, and an 110 kDa subunit (p110) which has intrinsic catalytic activity. 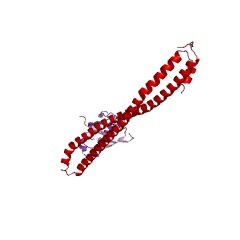 Here p85 alpha and a related protein p85 beta are shown to form stable complexes with recombinant p110 in vivo and in vitro. Using a panel of glutathione S-transferase (GST) fusion proteins of the inter-SH2 region of p85, 104 amino acids were found to bind directly the p110 protein, while deletion mutants within this region further defined the binding site to a sequence of 35 amino acids. Transient expression of the mutant p85 alpha protein in mouse L cells showed it was unable to bind PI 3-kinase activity in vivo. 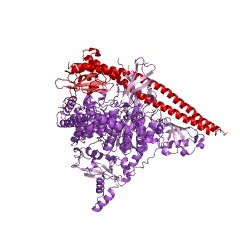 Mapping of the complementary site of interaction on the p110 protein defined 88 amino acids in the N-terminal region of p110 which mediate the binding of this subunit to either the p85 alpha or the p85 beta proteins. 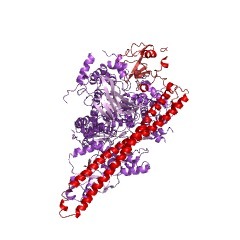 The inter-SH2 region of p85 is predicted to be an independently folded module of a coiled-coil of two long anti-parallel alpha-helices. 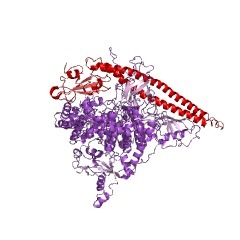 The predicted structure of p85 suggests a basis for the intersubunit interaction and the relevance of this interaction with respect to the regulation of the PI 3-kinase complex is discussed. 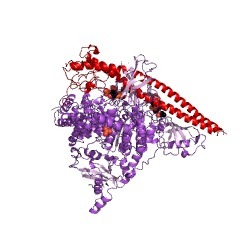 Direct association of p110 beta phosphatidylinositol 3-kinase with p85 is mediated by an N-terminal fragment of p110 beta. 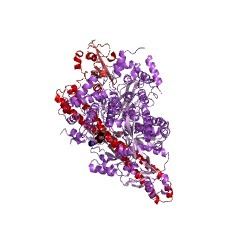 Phosphatidylinositol (PI) 3-kinase is a heterodimeric enzyme of 85-kDa (p85) and 110-kDa (p110) subunits implicated in mitogenic signal transduction by virtue of its activation in cells transformed by diverse viral oncoproteins and treated with various growth factors. We have identified a domain in p110 that mediates association with p85 in vitro and in intact cells. 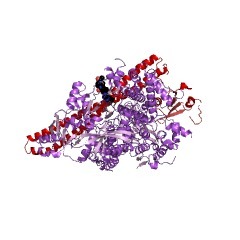 A glutathione S-transferase fusion protein containing the N-terminal 171 amino-acids of p110 beta bound to free p85 in cell lysates. 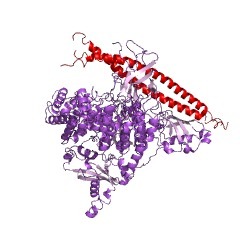 This fusion protein also bound directly to p85 immobilized on nitrocellulose filters. 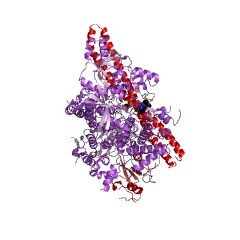 An epitope-tagged fragment containing amino acids 31 to 150 of p110 beta associated with p85 upon expression in intact cells. Expression of either an N-terminal fragment of p110 beta or the p85 inter-SH2 domain, which mediates association with p110, reduced the association of endogenous PI 3-kinase activity with the activated platelet-derived growth factor receptor in intact cells. Hence, these defined regions of p85 and p110 mediate the interaction between the two subunits of PI 3-kinase. 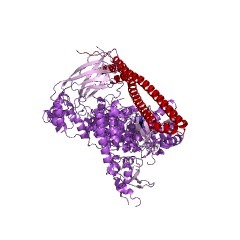 The interaction of small domains between the subunits of phosphatidylinositol 3-kinase determines enzyme activity. Previous studies have suggested that the two subunits of phosphatidylinositol (PI) 3-kinase, p85 and p110, function as localizing and catalytic subunits, respectively. Using recombinant p85 and p110 molecules, we have reconstituted the specific interaction between the two subunits of mouse PI 3-kinase in cells and in vitro. 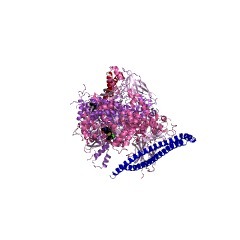 We have previously shown that the region between the two Src homology 2 (SH2) domains of p85 is able to form a functional complex with the 110-kDa subunit in vivo. In this report, we identify the corresponding domain in p110 which directs the binding to p85. 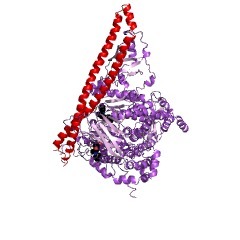 We demonstrate that the interactive domains in p85 and p110 are less than 103 and 124 amino acids, respectively, in size. We also show that the association of p85 and p110 mediated by these domains is critical for PI 3-kinase activity. Surprisingly, a complex between a 102-amino-acid segment of p85 and the full-length p110 molecule is catalytically active, whereas p110 alone has no activity. 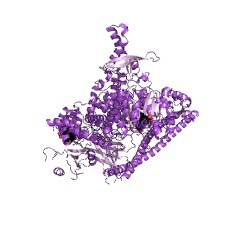 In addition to the catalytic domain in the carboxy-terminal region, 123 amino acids at the amino terminus of p110 were required for catalytic activity and were sufficient for the interaction with p85. 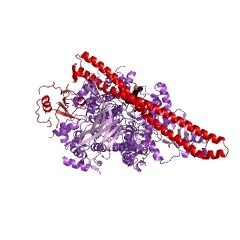 These results indicate that the 85-kDa subunit, previously thought to have only a linking role in localizing the p110 catalytic subunit, is an important component of the catalytic complex. This information is based on mapping of SMART genomic protein database to KEGG orthologous groups. Percentage points are related to the number of proteins with PI3K_p85B domain which could be assigned to a KEGG orthologous group, and not all proteins containing PI3K_p85B domain. Please note that proteins can be included in multiple pathways, ie. the numbers above will not always add up to 100%.